From the passion of the sea was born the idea of sharing the pleasure of sailing, the Dufour 350 Grand Large, long 10 meters and wide 4, combines the comforts of a modern motor boat to the pleasure of immersing yourself in the tranquility, listening to the sound of wind and water that slides along the hull. 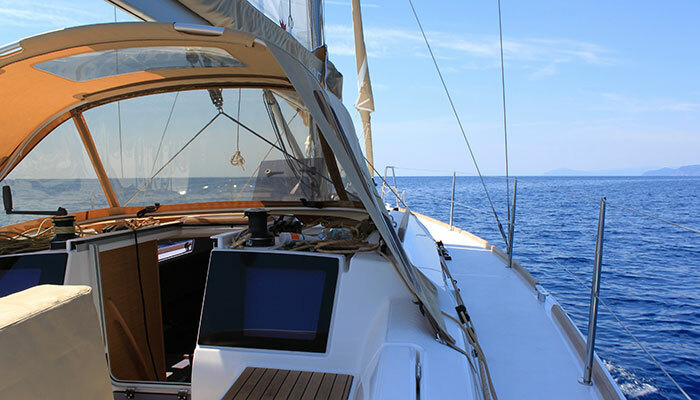 Daily cruises with skipper, depart from the Port of Rapallo, the routes develop in the Marconi Gulf and around the famous Portofino, San Fruttuoso and Punta Chiappa. In summer, moored the boat, you can swim in the Marine Area at the Portofino National Park, snorkeling to admire the fish. The boat is designed with a large cockpit and the opening garden provides easy access to the sea. During navigation or in the bays of the Promontory, we will be offered to the Guests typical Ligurian cuisine products as “focaccia”. On request you can book lunch in a restaurant on the beach of San Fruttuoso or Punta Chiappa cliff.